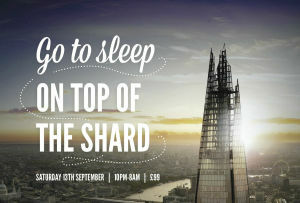 If you’re free and enjoy sleeping-bags, 800ft glass structures and a troublesomely heavy purse, please do come by to DoingSomething’s sleepover at The View from The Shard on Saturday 13th September. 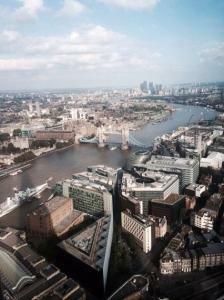 The evening invites participants to bump into one another and be pleasantly distracted by talks, music, a sky-trained Royal Observatory telescope and a midnight feast, all seen from Western Europe’s highest building. 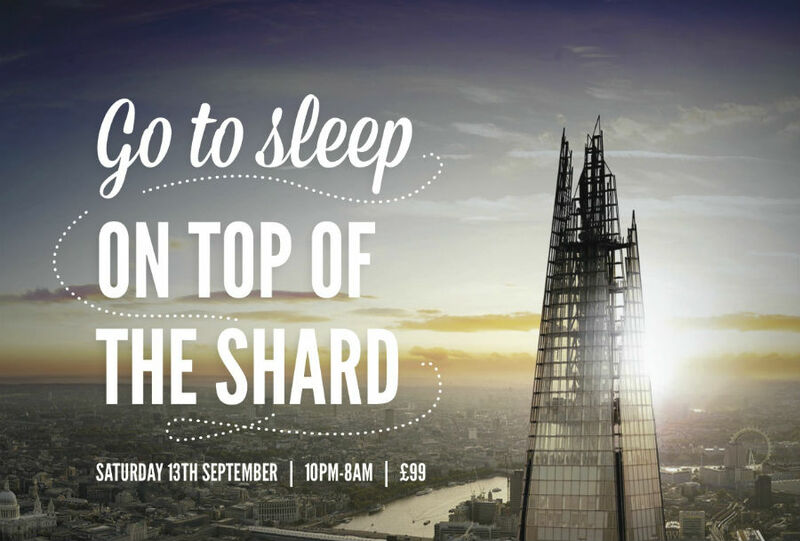 The option is also there to ascend to a limited number of bell tents and sleep at the partially-exposed top of The Shard for bedtime stories, boggling and breakfast. B&B&B, etc. I’ll be reading alongside the band Peggy Sue and members of Toby Brother’s London Literary Salon, including ghost stories and more from Ben Gwalchmai. It’d be great to see you there.